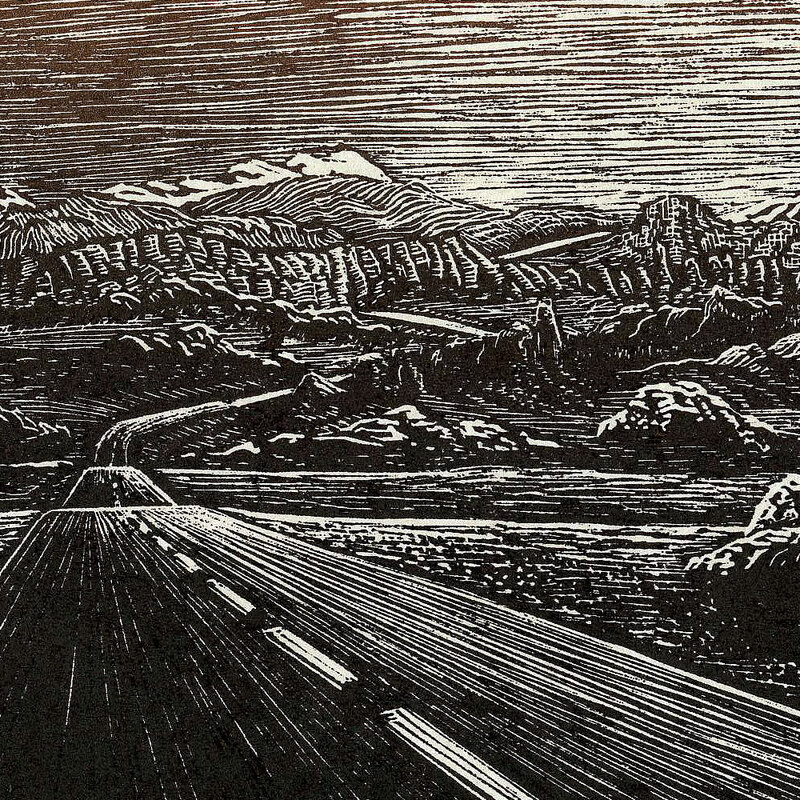 1000 Woodcuts: Wood Engraving for Fun and Profit...well, fun anyway! Wood Engraving for Fun and Profit...well, fun anyway! My friends at the Wood Engraver's Network have been exchanging prints for as long as I can remember. Upon renewing my membership this year, I decided to contribute something, which I have not done in a while. I produced in the past a couple of Bundle newsletter covers (bundles are what the twice yearly exchanges are called) and I recently received a nice check from their traveling exhibit and sale of my contributions. All and all this is a neat group of humble and masterful printmakers and I am proud to be a member. 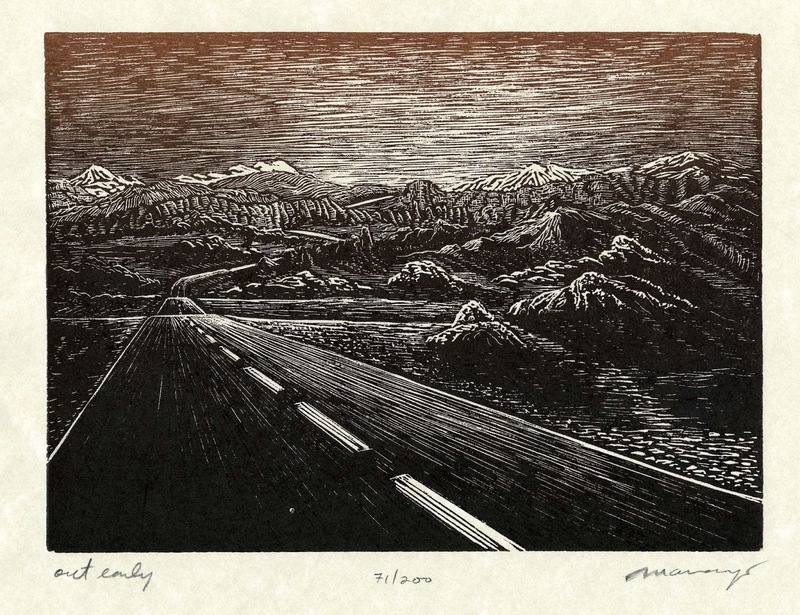 For my non-artist friends, wood engravings are like woodcuts but done on much harder wood or other surface and "engraved" (rather than "carved") with metal engraving tools much like jewelers use to engrave metal. 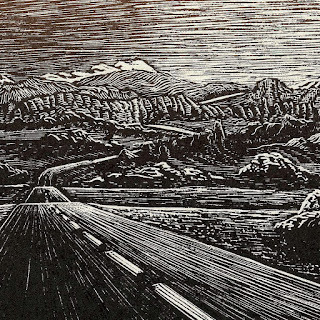 As a result of the tedious process, wood engravings tend to be much more detailed than woodcuts and the illusion of "shading" is often possible by using very fine lines. Here is Datura, a new wood engraving of a poisonous plant that lives in the desert lands and produces spectacular and very large white flowers surrounded by deep green leaves. I engraved it in lemonwood (end-grain) purchased from Dab Hand Print on Ebay. This tiny print is about 1.25 x 2 inches (3 x 4.5cm), barely! The glasses pictured have a magnification of +3.0. First proofs done, a little tweaking and cleaning up is in order, then I begin printing. traditionally used to hold engraving blocks in place. the mess is so small!